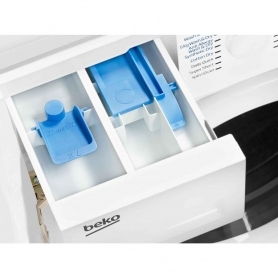 With its integrated design, the WDIC7523002 washer dryer from Beko will suit any kitchen. It comes with some great wash and dry programmes to get your laundry clean and fresh. 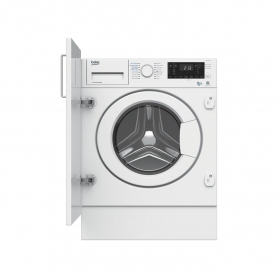 The WDIC7523002 is perfect for couples, with a 7 kg washing and 5 kg drying capacity. You’ll be able to whiz through all your laundry quickly and easily. An extra-large door makes loading and unloading much easier, and the door opens to 165 degrees, giving you better access. 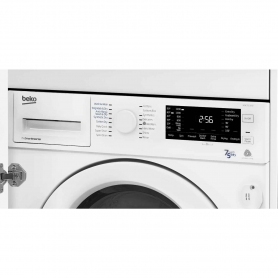 Combined wash and dry programmes mean you can put your dirty laundry inside, select a single programme and come back to perfectly clean and dry items. Need something in a hurry? The Wash and Wear mode can wash and dry a small load in just 60 minutes, perfect if you’re always on the go. The 14 minute, small load cycle is also ideal if you’re in a rush. 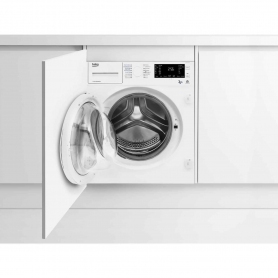 If you need to wash a bigger load and plan on air drying, try the Quick Full Load, which can wash up to 7 kg of laundry in 28 minutes. The ProSmart Inverter Motor is more durable than regular motors, so it will last you a long time. This brushless motor is also quieter and more energy efficient than conventional ones. 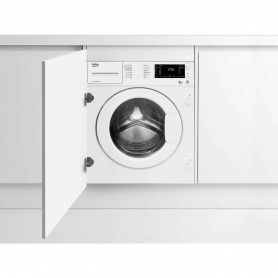 Being a built-in appliance, you can attach a door to the front of the WDIC7523002 that perfectly matches your existing units for a seamless finish. 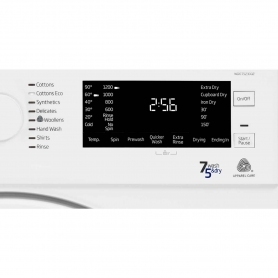 The WDIC7523002 has a smart white design and the stylish LED display shows you the cycle time remaining. The electronic knob has indicator lights, which makes it easier to pick the perfect programme. 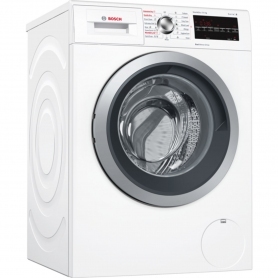 Order your Beko WDIC7523002 washer dryer today.